It’s October! Our favorite month! We love all things fall, pumpkin, and crispy falling leaves. And of course my kid’s favorite fall holiday: HALLOWEEN! This is the first year that Sadie has really understood what Halloween is all about: trick or treating! She’s been practicing her “trick or treat!” and “thank you!” for a few weeks now and is SO excited about wearing a costume! Since I now have three trick or treaters to watch out for, I also thought now would be a great time to talk with the kids about ways we can stay safe on Halloween. 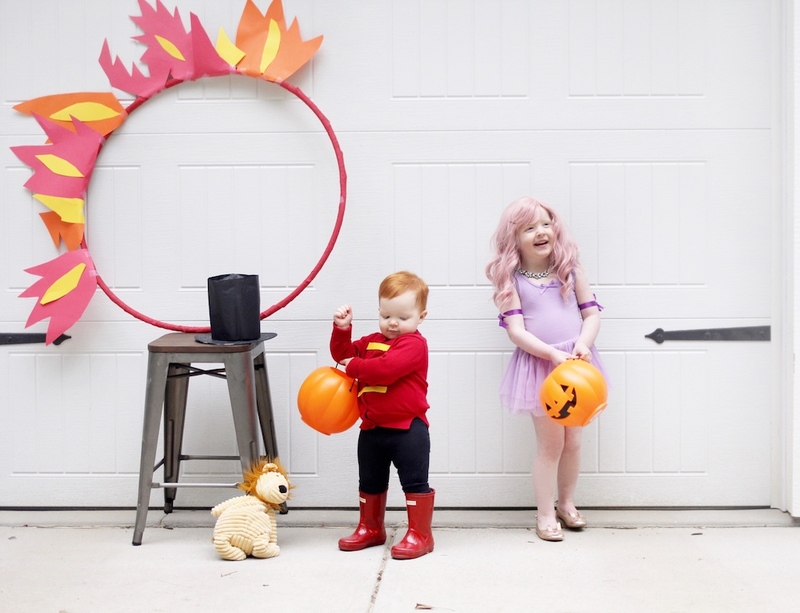 We’ve been chatting about what we want to dress up as for Halloween and Sadie requested to be “the pink hair and the purple dress!”, which in case you don’t speak three year old, means she wants to be Anne the trapeze artist from the movie The Greatest Showman. Our circus is crazy, but cute! Our motto for Halloween is: Safety first and the fun will follow! 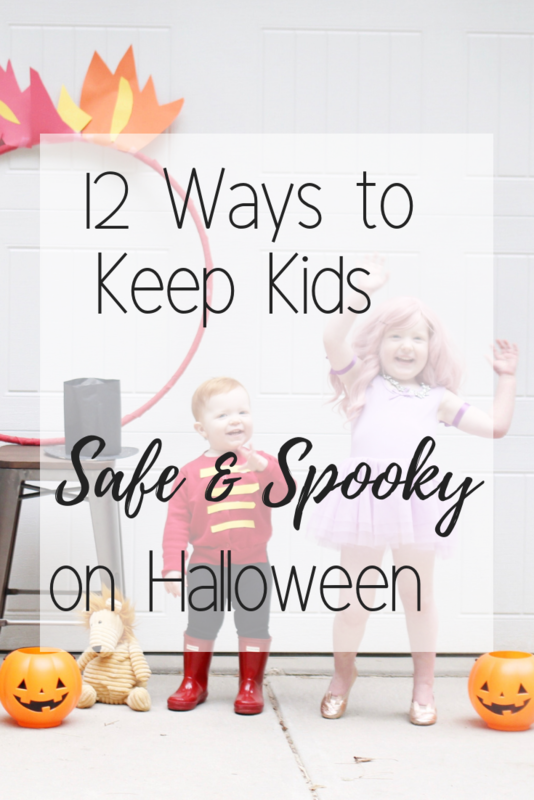 Below are 12 safety tips to talk about with your kids before you head out to trick or treat. 1. Be seen! Wear bright costumes and avoid anything that’s too dark. It’s also great to use flashlights, glow sticks, or reflective tape to make it easier to be seen by cars and other trick or treaters at night. 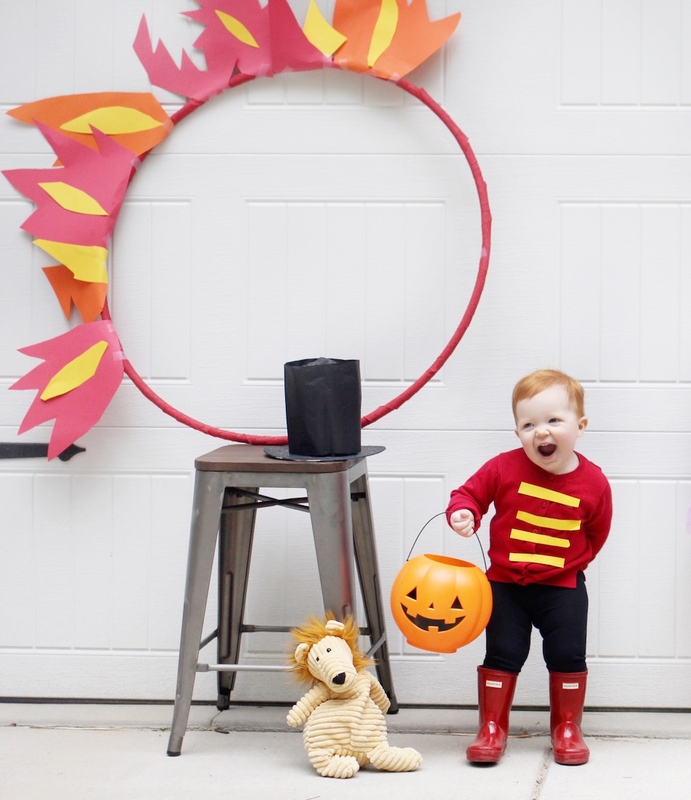 If you are planning on making your own Halloween costume, Allstate has some great safety tips for DIY costumes! 2. Plan your route! A few days before Halloween, talk about where you will walk to trick or treat and stick with neighborhoods you are familiar with. Make a plan and stick to it! Once you visit all of the houses on your route, it’s time to go home! Have some extra fun candy at home too to eliminate any whining. 3. Stay with your crew! Always walk with a group of people and an adult. If you have a large group it’s a good idea to use the buddy system and ask kids to stick with their buddy. 4. Watch for cars! Only cross the street with an adult and make sure you look both ways! 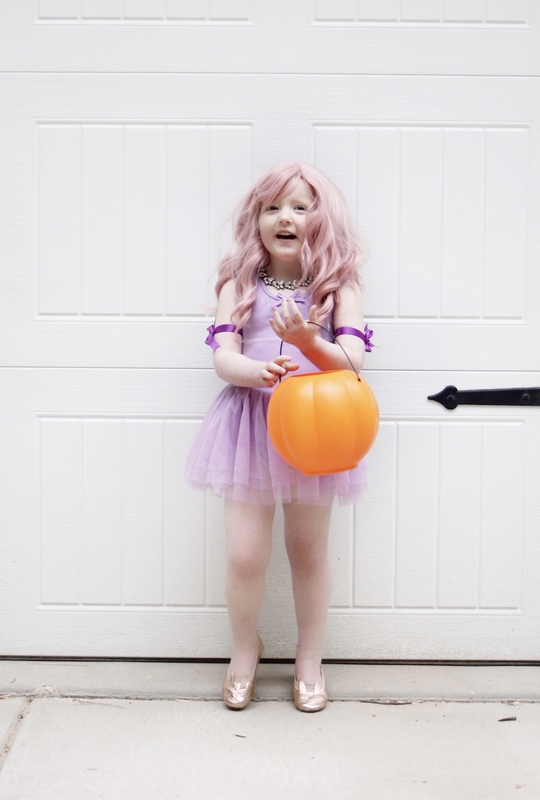 Allstate shares some excellent road safety tips trick or treaters and drivers you can read here. 5. Stay away from dark houses! Only trick or treat at houses that have lights on and are well-lit. 6. Keep your costume safe! Make sure accessories are soft and not sharp (swords etc.) and that you can walk without tripping. If a costume has a mask, make sure you can see well, and if not, take it off! 7. Stay outside! Never go inside a stranger’s house, even if it looks cool or they invite you in. 8. Walk don’t run. It’s easy to get excited about candy! But remember, you must stay with your group and must stay with an adult. 9. Stop for a candy inspection! Make sure an adult checks out all candy before anyone eats it. Only eat factory wrapped candy and discard any homemade treats or treats that look like they have been tampered with. If your child has allergies, I’m sure you are already on alert! I love these ideas from Allstate for non-candy treats you can hand out! 10. Watch out for decorations. Little feet are often clumsy, so keep an eye out for jack-o-lanterns that may have candles inside or other decorations kids may trip or fall on. 11. Bring a stroller or wagon for little siblings who have trouble keeping up or get tired. 12. For mom and dad: make sure you have a charged cell phone with you at all times in case of an emergency. I hope this helps you stay safe and spooky this Halloween! Oh my gosh!! 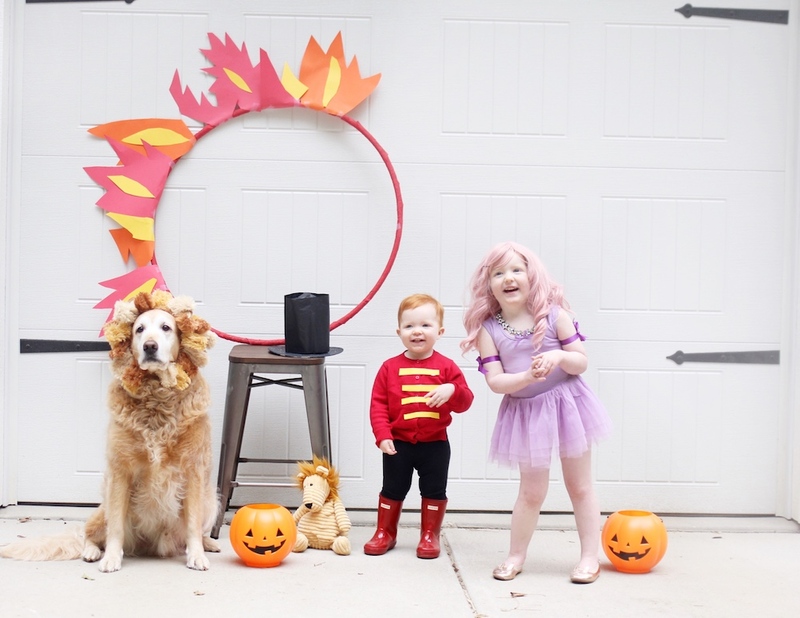 These Greatest Showman costumes are, well, the GREATEST!! Great tips too!! 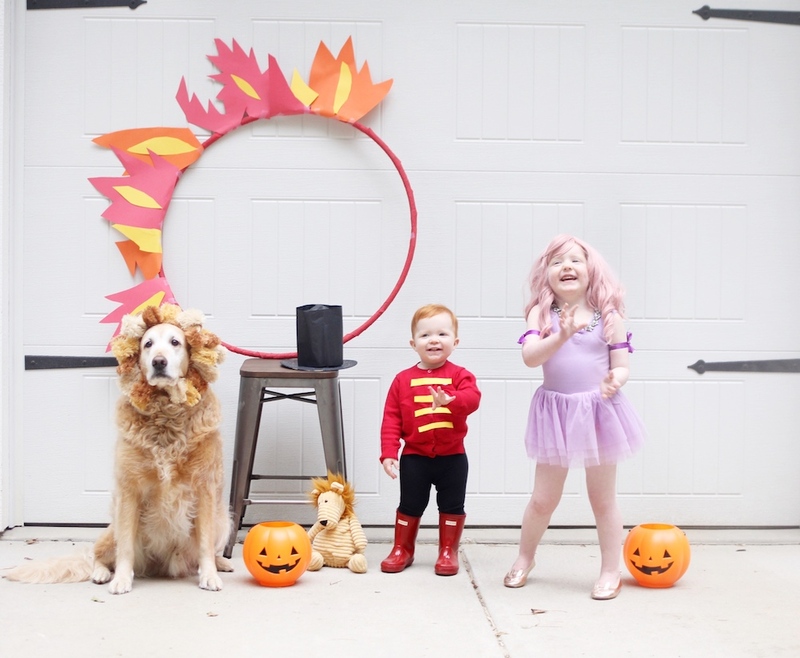 These are the cutest costumes ever! Of course they would be from my favorite movie. These are great tips. We always go trick-or-treating in my friend’s nice neighborhood on a hayride. The streets are crowded and traffic is everywhere. Kids run in all directions across the roads. It is overwhelming for sure. Having extra adults on our trailer and older teens to help is very useful. 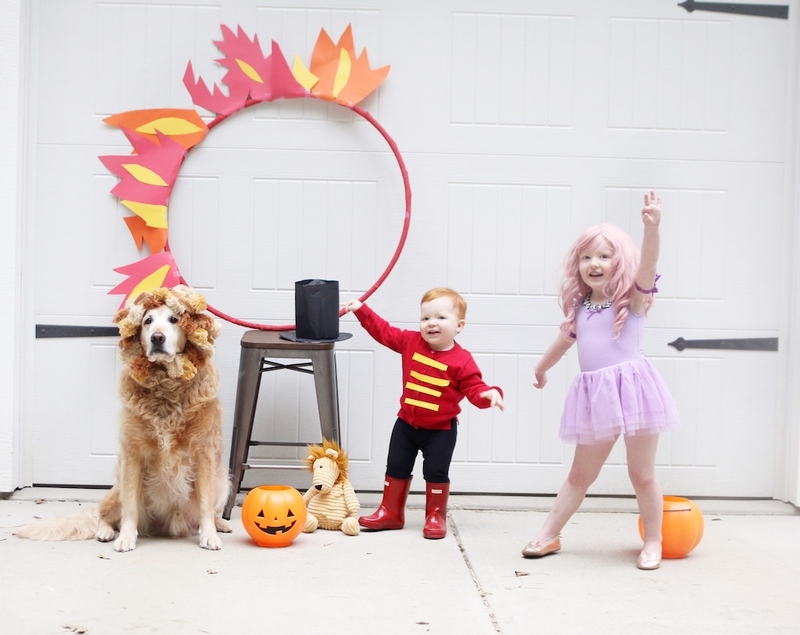 These are the cutest costumes ever!!! I love that you even got the dog in on it! Thanks for sharing all of these tips. I have four kids, so safety when trick or treating is so important! Love their costumes! Thanks for sharing these tips, I am always get a little worried taking my son on his trick or treat ventures. It is good to be alert.